GeriMedica is a Dutch-based Saas provider focused on delivering the best software and service for healthcare professionals operating in the elderly care sector. And in the age of big data, the best software empowers those healthcare professionals to harness big data and make decisions based on data-driven insights. Hamza Jap-Tjong, Owner & CEO at GeriMedica Inzicht, understood that current multidisciplinary electronic medical records (EMRs) were falling short of delivering the kinds of insights that have a meaningful impact on the level of care that patients receive—GeriMedica’s included. He knew his customers were spending hours spelunking for insights from exported reports, and the product’s current dashboards were falling short. But today, with Sisense’s Single-Stack™ solution embedded into GeriMedica Inzicht, his customers are fully empowered to deliver and improve patient care paths based on the only thing that matters: actionable insights. With Sisense, customers now have access to 28 customizable dashboards that answer all of the questions 400 dashboards used to answer. Hamza knew his OEM use case wasn’t first and foremost a matter of implementing a new feature or solution—or a project that could be led with profits as the top priority. Above all else, his primary goal was to launch a new philosophy on how end users in the elderly care field look at data and glean insights from the data in their systems. But Hamza was also cognizant of the fact that this was a business decision as well. The perfect solution that would empower end users to improve levels of care did, in the end, have to be profitable. The right BI platform for GeriMedica Inzicht had to support constantly expanding data, and lots of it. With 295 tables, 2500 columns, and 600 million records, the Sisense Single-Stack™ solution was quickly singled out as the best option for mashing up disparate data, automating the ETL process, and simultaneously providing an intuitive, self-service user experience for caregivers with minimal training. The ability to deploy Sisense on-premise and adopt a scalable, straightforward licensing structure that resulted in the lowest total cost of ownership when compared to the competition was the icing on the cake. Hamza knew he had found the BI platform that would lead to both the data revolution and the profitable business case he was looking for. Prior to embedding Sisense, GeriMedica’s customers dealt with exporting labor-intensive, manual reports that didn’t deliver complete information on patient health history to the caregivers who input the data and weren’t able to gain insight on which care paths were successful or needed to be re-evaluated. Customers also lacked the ability to drill down and filter their data, which had led to the creation of up to 400 different dashboards—a different dashboard for every question imaginable. As the business grew, customers increasingly asked for additional insights that couldn’t be delivered seamlessly with GeriMedica’s current data model. Learn more about Hamza’s 9-step framework for adopting impactful—and ultimately profitable—embedded analytics solutions in the healthcare sector. With Sisense, customers now have access to 28 customizable dashboards that answer all of the questions 400 dashboards used to answer. Caregivers can drill down and filter these dashboards to find the answers they’re looking for. And best of all? The dashboards are powered only by the data that matters—the data that helps caregivers take action to improve care paths for their patients. Within the first six weeks of embedding Sisense, GeriMedica Inzicht landed 23 new customers, 7 customers were trialing, and 3 demos were planned. 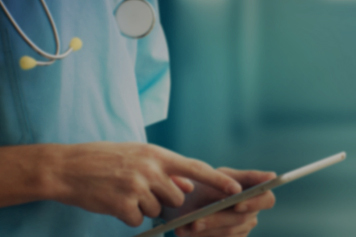 Empowered by a unified view of all possible care paths, customers enjoyed increased productivity and outcomes across all aspects of care—no more manual data dumps required! Potential customers now see value upfront after a quick demo of their own data and understand how simple it is to validate top priority insights. But Hamza’s favorite hero moment? The GeriMedica Dashboard Marketplace. Powered by Sisense dashboards, he was able to fulfill his dream of a data revolution by creating a rich environment filled with documentation and training materials that empower end users to get their own business insights. The result? Every organization doesn’t have to start from scratch! Customers can share their favorite dashboards in the marketplace to empower their peers across industries who have the same goal in mind: the best quality patient care fueled by data-driven insights.